The Office of Special Counsel confirmed to American Oversight on Wednesday that it has opened a case file to address our request for a Hatch Act investigation into Acting Attorney General Matt Whitaker. American Oversight today called on multiple federal offices to open investigations regarding Acting Attorney General Matthew Whitaker’s newly released public financial disclosure forms (PFDs). On Wednesday morning, American Oversight submitted one complaint to the Office of Special Counsel (OSC) alleging potential violations of the Hatch Act, and a second to the Office of Government Ethics (OGE) and the Department of Justice’s Ethics Office, alleging a failure to disclose. Whitaker was a candidate in the U.S. Senate primary in Iowa in 2014. On Tuesday evening, the New York Times reported that, according to Federal Election Commission (FEC) reports, Whitaker’s 2014 U.S. Senate campaign committee is still active four years later and, between January 29, 2018, and February 2, 2018, received four political contributions totaling $8,800. Notably, at least some of the contributors appear to be affiliated with Mr. Whitaker’s former lobbying clients. Also on February 2, 2018, Mr. Whitaker’s campaign committee made a rental payment for office space to Mr. Whitaker’s former law firm, Whitaker, Hagenow & Gustoff, LLP, and a payment to one of that firm’s partners, Christopher Hagenow. FEC reports show the early 2018 contributions and payment were effectively the first activity by Whitaker’s campaign committee in several years — and occurred only after Whitaker joined the DOJ as chief of staff to former Attorney General Jeff Sessions. The contributions appear either designed to benefit Whitaker personally or to support future political activity. Whitaker was, and remains, the only creditor of his 2014 campaign, arising from a personal loan he made to his campaign — of which $49,187.37 remains un-repaid. If the 2018 contributions were made to retire that debt, the money would benefit Whitaker personally, raising serious concerns about the potential for improper political influence on the nation’s top law enforcement official. In a letter on Wednesday morning to the OSC, which has primary jurisdiction for enforcing the Hatch Act, American Oversight highlighted these concerns and asked the office to open an investigation to determine the facts. Separately, Whitaker’s disclosure forms — which were released on Tuesday following requests submitted last week by American Oversight — indicate that he failed to report the nearly $50,000 loan he made to his 2014 campaign, a significant asset. OGE guidance is clear that a loan made to anyone other than a family member must be reported on a PFD as an asset. 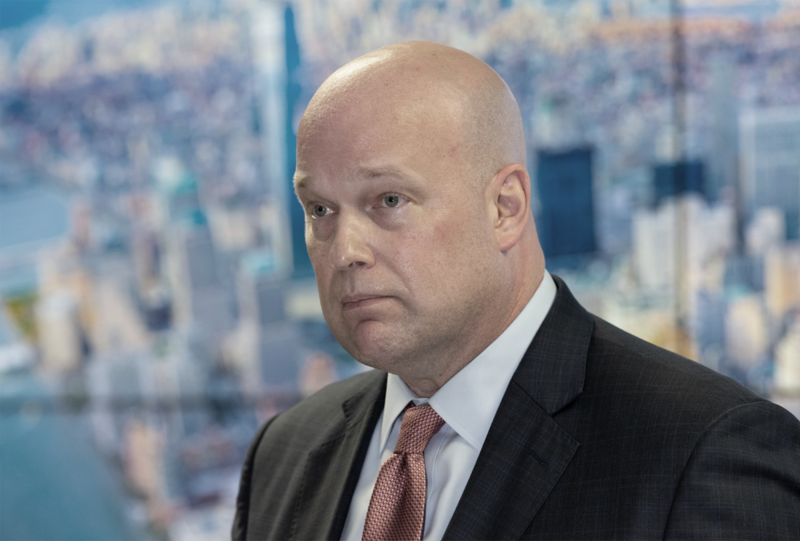 American Oversight sent a separate letter on Wednesday to OGE calling for an investigation into Whitaker’s failure to disclose the existence of his campaign loan. Knowingly and willfully failing to disclose information on a PFD can constitute a criminal false statement, punishable by up to five years’ imprisonment. American Oversight has been actively investigating Whitaker’s appointment and, in addition to last week’s action prompting the release of his PFDs, the watchdog group has filed numerous Freedom of Information Act (FOIA) requests seeking to understand Whitaker’s potential ethical conflicts of interest.